uses both Strong's and G/K numbering systems. 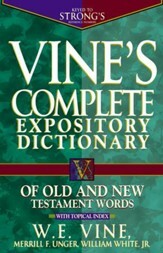 The G/K numbers ties in Mounce's Expository Dictionary with many of the best study tools. W.E. 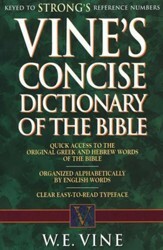 Vine, Merrill F. Unger, William White Jr.
William D Mounce (PhD, Aberdeen University) lives as a writer in Washougal, Washington. He is the President of BiblicalTraining.org, a non-profit organization offering world-class educational resources for discipleship in the local church. See www.BillMounce.com for more information. Formerly he was a preaching pastor, and prior to that a professor of New Testament and director of the Greek Program at Gordon-Conwell Theological Seminary. 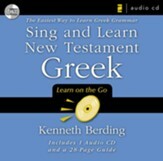 He is the author of the bestselling Greek textbook, Basics of Biblical Greek, and many other resources. He was the New Testament chair of the English Standard Version translation of the Bible, and is serving on the NIV translation committee. 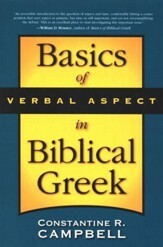 '5 stars!....Ideal for church leaders who want to do careful, word-by-word Bible studies but have never learned Greek or Hebrew. You'll be able to look up terms in English, find their Greek or Hebrew equivalents, and get added insight into what the word really meant in its original context. 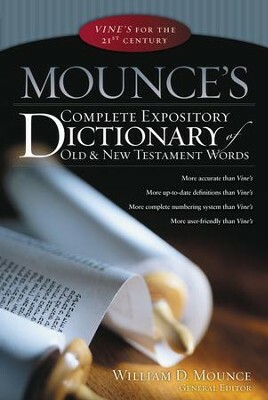 I'm the author/artist and I want to review Mounce's Complete Expository Dictionary of Old & New Testament Words.